Your lips are special, they frame every word you say and even when no words are spoken your lips can still express how you feel. What do your lips say about you? As time goes by, lips naturally tend to become drier and lose volume which brings about a thinner appearance and a loss of definition. The fact that the skin of our lips is much thinner than in other areas of our face, means the effects can be apparent earlier. Vermilion border- to improve the definition and outline of your lips. 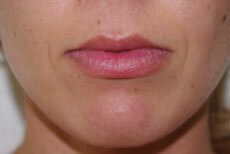 Lip augmentation – for volume, poutiness & fullness creating symmetry and balance. Oral commissures/ sides of mouth – for a younger and happy look. Philtrum ridges that go from the upper lip towards the nose – can be made more defined. Perioral lines or fine vertical lines often due to smoking on the upper lip can be reduced. Why have Treatments at Define Laser Clinic? Our Specialist IPL / Laser Therapist is dedicated to providing personalised aesthetic treatments to address a wide range of skin care issues for the face and body. With extensive experience as Senior therapist at Define Laser, her knowledge expands from training, demonstrations of the equipment to medically assisted treatments on the IPL machine. Our therapist has refined her ability to deliver safe and ethical treatments which reflects in her standards of Excellence. A thorough consultation is carried out by our specialist Doctor to determine whether the treatment is suitable for you. The doctor will examine your desired treatment area and give you various options to ensure the best results. A treatment goal will be discussed and finally a customised treatment plan will be tailored to your needs. The doctor will discuss the treatment in detail with you and answer any questions you may have. Once you have agreed on a treatment plan, the doctor will apply an anaesthetic cream to the area for up to 60 minutes. 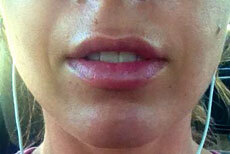 After the injection, the lips often become swollen. This means that the result immediately after the treatment may not be the final result. The swelling typically resolves spontaneously within a couple of days. This will also add to the duration of the treatment effect. The result generally last between 4 to 9 months. The longevity of these products is variable and each individual may obtain a different result. 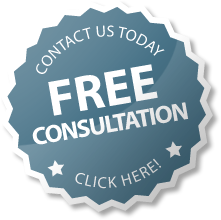 A plan for regular follow-up treatments to maintain the initial result can be created for you. Our treatment provides a long-lasting but not permanent result leaving you the option of refining your treatment in tune with changing taste and fashion. We understand the lips can be a sensitive area. A range of anaesthetics, such as Ice pack, Numbing cream and Dental nerve block can be provided depend upon your preference. In addition, we use the products which contain anaesthetics, therefore the treatment is relatively comfortable. What are the possible medical and cosmetic side effects of a dermal filler ? If you’ve previously had cold sores around the mouth (facial herpes simplex), the treatment might provoke an outbreak. Be sure you have a supply of oral pain relief tablets. Do not use if you are pregnant or nursing because these products have not been tested for safety in pregnancy or nursing. You may have swelling for 24-72 hours, especially with injections in the lips. It is recommended to avoid planning social events for 48 hours. After the treatment(s) some common injection-related reactions might occur such as swelling, redness, pain, itching, discoloration and tenderness at the injection site. These typically resolve spontaneously within 2 to 10 days. Mild bruising or a slight blush might appear at the injection site immediately following treatment and may last for 2-10 days. To avoid swelling and bruising, you should do the following: Avoid aspirin, nurofen (ibuprofen), for 1 week before and 2 days after. Panadol is always fine. Avoid intense exercise for 24 hours after the procedure. After the treatment: You should avoid touching or applying makeup on the treated area for 12 hours in order to prevent infection. There may be slight redness, swelling and some tenderness of the treated areas. This is normal of an injection and will disappear in one or two days. Specific post treatment instruction will be given. The results are immediate and last from 4 – 9 months. Because the results are relatively temporary, adjustments can be made as your face changes over time and you always retain a natural look.